Pyotr Kapitsa discovered superfluidity in 1937 when he observed liquid helium flowing without friction – in other words with no loss of kinetic energy. He received the 1978 Nobel Prize in Physics for his work. Kapitsa survived Joseph Stalin’s reign of terror in the Soviet Union, despite a demand from the secret police chief that he be killed. Pyotr Leonidovich Kapitsa was born on July 9, 1894 on Kronstadt, an island fortress near Saint Petersburg, capital of the Russian Empire. His father, Leonid Petrovich Kapitsa, was a colonel in the army’s Engineering Corps. His mother, Olga Ieronimovna Stebnitskaia, was an academic folklore researcher. 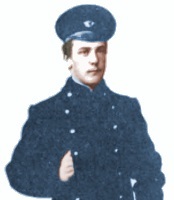 Pyotr Kapitsa in school uniform at age 17. At age 11, Pyotr began attending a classically oriented grammar school, however, he was hindered by his bad spelling – this quirk stayed with him all his life. After two years, his mother moved him to a technical school. Pyotr graduated in 1912 with high honors. Lacking a classical education in Greek and Latin, Pyotr Kapitsa could not be admitted to a university. Instead, he studied Electrical Engineering at Saint Petersburg’s Polytechnic Institute. His studies were interrupted by World War 1. In early 1915, age 20, he volunteered as an ambulance driver on Russia’s Polish front for a few months before resuming his studies. Kapitsa graduated with a degree in Electrical Engineering in 1918, age 24. He continued at the Polytechnic Institute as a lecturer. In 1921, age 27, Kapitsa left Saint Petersburg to study for a PhD with Ernest Rutherford at the University of Cambridge’s renowned Cavendish Laboratory. Kapitsa received his Physics doctorate two years later. He reveled in the quest for scientific truth at the Cavendish Laboratory, regarding the larger than life Rutherford as his scientific father. Rutherford recognized Kapitsa’s outstanding skills as an experimental physicist and enjoyed his unconventional sense of humor. Both were eager that Kapitsa should continue with research at the Cavendish for many years. Kapitsa thought young British scientists were too cautious about challenging the ideas of their more experienced colleagues. To improve matters, in 1922 he founded a weekly club bringing together the younger physicists to present their work informally. The club, known to everyone except Kapitsa himself as the Kapitsa Club, became very popular. Kapitsa and Paul Dirac became great friends. In 1924, he was appointed as the Cavendish’s assistant director of magnetic research. He developed techniques to produce ultra-powerful magnetic fields. In 1928, he discovered that in a very strong magnetic field the electric resistance of various metals depends on the magnetic field strength, a straight line relationship now known as Kapitsa’s law of magnetoresistance. In 1930, Kapitsa was appointed director of Cambridge’s Mond Laboratory, the Cavendish Lab’s state-of-the-art offshoot, whose construction was completed in 1933. Increasingly, Kapitsa turned his thoughts towards low temperature research, where, in 1908, Heike Kamerlingh Onnes had made a significant breakthrough when he liquefied helium for the first time. At normal pressures helium is liquid only at exceptionally low temperatures – within a few degrees of absolute zero. 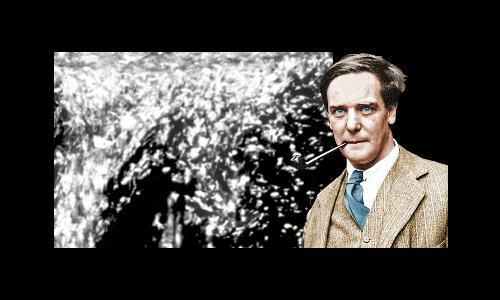 When Kamerlingh Onnes studied its properties, he noticed a peak in liquid helium’s density at 2.19 K. This turned out to be a crucial phase transition called the lambda point, now measured to be 2.17 K.
In 1933, Kapitsa developed a brilliant new process to liquefy helium based on cooling by volume expansion. He built a refrigeration machine in the Mond Laboratory that could liquefy helium at the astonishing rate of one liter per hour. However, Joseph Stalin’s Communist government was becoming increasingly paranoid. The Soviet Union’s Great Terror had started. After Kapitsa arrived in Russia, officials canceled his exit visa and told him he would not be allowed to leave again. He was now trapped in a country whose government was homicidal. Show trials followed by executions of anyone whose actions were perceived to be un-Marxist or who was thought to be plotting against Stalin became common. Often there wasn’t even a trial – people were simply murdered. Suspects were also sent on an industrial scale to Gulags – forced labor camps in which over a million people perished through brutal mistreatment. Kapitsa was encouraged by officials to do physics, which he did, albeit at first in terrible despair. The Soviet government agreed to buy Kapitsa’s equipment from the Mond Laboratory, and Rutherford arranged its shipment to Moscow. In 1935, Kapitsa accepted the job of head of the Institute of Physics of the Russian Academy of Sciences in Moscow. In the same edition of Nature, John Allen and Don Misener at Cambridge’s Mond Laboratory announced their discovery of the same behavior in helium. They had measured the flow of helium through capillary tubes rather than between discs. Kapitsa, however, had priority. He submitted his paper on December 3, 1937. Allen and Misener’s paper was submitted 19 days later. In 1937, Lev Landau was 29 years old. He was one of Russia’s greatest theoretical physicists. 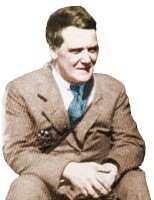 Two of his physicist friends, Lev Shubnikov and Lev Rozenkevich ‘confessed’ that Landau was head of an organization working against the Soviet Union. Both physicists were then executed by Stalin’s secret police, the NKVD. Landau was already a marked man because he openly disagreed with the Marxist philosophy of dialectical materialism. In 1938, Landau was arrested and held in the notorious Lubyanka prison. After two months of coercion, he was told he was going to be transferred to Lefortovo Prison, infamous for its torture of prisoners. Landau then ‘confessed’ to his crimes. Kapitsa saved Landau. Kapitsa had just invented an important new method of oxygen production, and so he was in favor with the Communist hierarchy. He exploited this by writing to both Stalin and the Prime Minister telling them about the remarkable behavior of superfluid helium – how it flowed without friction. He told them only Landau had sufficient talent to explain this. In May 1938, Landau was released after a year in prison to work with Kapitsa. Within months, he fulfilled Kapitsa’s expectations, explaining superfluidity in terms of energy phenomena called phonons and rotons. Landau was awarded the 1962 Nobel Prize in Physics for his work. In 1946, Kapitsa had a serious disagreement with Lavrentiy Beria, head of the notoriously brutal NKVD, whom Stalin had placed in charge of the Soviet nuclear weapons project. Kapitsa refused to work on the project for Beria. Beria made demands to Stalin that Kapitsa be killed, but Stalin would agree only to Kapitsa’s removal from public life. Stalin was aware that Kapitsa had both a worldwide reputation and many influential friends in British science. Kapitsa returned to public life after Stalin’s death in 1953. In the same year, Beria was executed for treason. Many millions of people were murdered while Stalin was in power. Kapitsa, by the skin of his teeth, was one of the survivors. 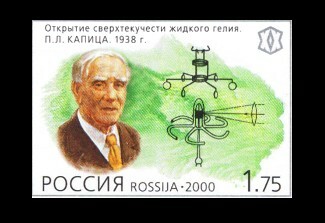 In 2000, Russia issued a stamp commemorating Kapitsa’s discovery of superfluidity. In 1916, age 22, Kapitsa married Nadeshda Chernosvitova. The couple had a son and a daughter. The devastating 1918-19 Spanish flu epidemic claimed the lives of his entire new family – Nadeshda and both children. In 1927, in Cambridge, Kapitsa married the artist Anna Krylova, a fellow Russian, whom he affectionately called Rat. She was the daughter of the eminent mathematician Aleksey Krylov. Their two sons, born in Cambridge, enjoyed highly successful careers in science. Sergei, the eldest, became a physicist and hosted the long-running Russian TV show Obvious but Incredible. Andrei became a geographer and discovered Antarctica’s amazing subglacial Lake Vostok. Pyotr Kapitsa died age 89 on April 8, 1984 in Moscow. He was buried in the city’s Novodevichy Cemetery. He was survived by his wife and sons. "Pyotr Kapitsa." Famous Scientists. famousscientists.org. 10 Apr. 2018. Web. Low Temp Phys (2007) 146: 441.